Skill trees have evolved in many different ways throughout the years, granting players the opportunity to specialize in a type of weapon, unlock spells, or learn a new set of movements to make the process of leveling your character in RPGs faster. Over time, new genres started to implement them on their cores as an invitation to further experiment with the game’s mechanics. But only a few managed to provide a true dynamic system where getting better at a skill relied solely on your actions in the game. In The Elder Scrolls V: Skyrim, progression was tied directly to your character’s behavior towards the environment. Getting into a fight can improve your mastery in two handed weapons and light armor, but don’t expect to be a shield master if you did nothing but selling them to the nearest merchant instead of wielding them. Actions like blocking or successfully lockpicking a chest gave your experience for your overall level, but also granted the possibility to actually unlock improvements towards mastering the skill. 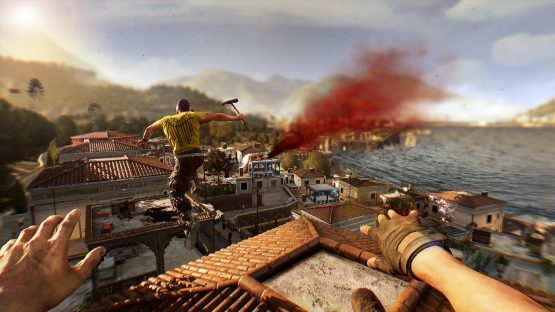 A similar concept was brought in Dying Light. Unlockable abilities were more scarce than Bethesda’s behemoth, and while you still had a few swords here and there, skills were divided in three sets: combat, movement, and survival. The game was not only known for its focus on parkour mechanics, but the progression system embraced it in a unique way. Whenever you climbed, rolled or stepped on a zombie’s head, this system rewarded you with experience points. You still needed to choose everything from the skill tree afterwards, sure, but it encouraged players to actually spend time exploring the world. Suddenly, climbing a tower or jumping from one roof to another became an activity that took most of my time with the game, usually ignoring whatever quest I had to just fool around the undead infested city. Upgrades did nothing but increase the agility of roaming the streets, and it actually felt like your character was learning new stuff on the go, rather than completing a checklist for the sake of running faster or dealing more damage with a blunt weapon. This sense of progression in both Skyrim and Dying Light felt unique at the time, but it always felt they were missing something. The skills I chose to unlock made sense for what I wanted to do in the game, so it’s not a matter of balance. Still, I always wondered how a fully dynamic skill progression system would be, in which abilities and movements are tied only to what you do. Why would a rogue become an expert in fire spells if they only wielded daggers and bows? And it’s in that moment of doubt that, based the limits of the game, you’re able to learn a new skill from scratch without being forced to start over. 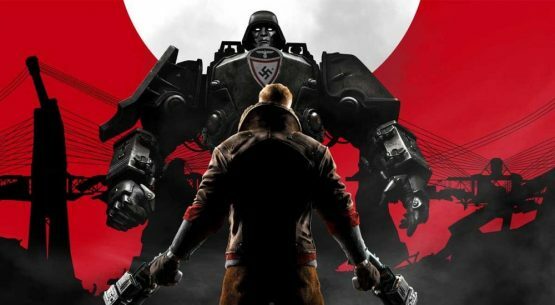 In the past few years, there has been an interesting experiment introduced by Machine Games’ take on the Wolfenstein series that feels the closest to what a dynamic system can be. The New Order, The Old Blood, and The New Colossus not only have a rather short but more focused skill tree: all abilities are unlocked only through playing on a certain way. Sometimes this means experimenting outside of your comfort zone by using different weapons, making an extensive use of grenades or consuming as much medkits as you can. Machine Games’ vision to include a progression system of sorts might have been bold on paper, but it actually suits all three games perfectly. After performing 25 stealth takedowns, you suddenly unlocked the perk Vampire permanently, receiving healing for any future Nazi executions. Killing 5 enemies in a row while being overcharged increased your maximum health by 25 points. All of this could be unlocked without you realizing it, which carries a similar philosophy to “learning on the go,” but others proved to be a bit more challenging—killing an enemy with the last bullet of a magazine 20 times increased your reload speed if you mashed the button during the process, for example. Why bold? Well, this progression system is a great fit for Wolfenstein, but it might not be the same case for other games of the genre. The fact that it doesn’t force you to stop resonates with its frenetic pace during shooting sections, and opening the perks’ tab doesn’t feel mandatory, but rather for pure curiosity. It’s hard for skill trees to escape their past influences, but at least there’s an attempt to experiment within those standard boundaries. Dying Light seems like the perfect balance, expecting you to take some time to study skill trees and find what better suits your playstyle with a ever present reward system. 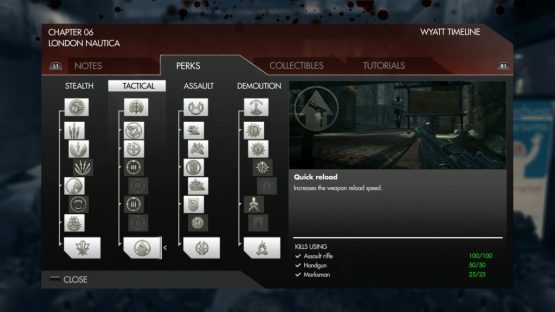 But I want to see a similar perk system to Wolfenstein’s replicated in even more games, following the recent focus from AAA titles to adapt RPG’s aspects. It’s something that the new God of War could have integrated to its core. The ability to learn and evolve on the run is fascinating, and it’s time to start seeing it in more games than before. Of course, old-school inspired RPGs such as Pillars of Eternity or Divinity: Original Sin can still afford to include complex and overly rooted skill trees. That’s what we all expect from them. But as far as first-person shooters go, being rewarded thanks to your actions and experimenting with the little systems within makes for a more substantial take on the role-playing formula. I hope that over time skill trees continue to evolve, but only if it’s done by practice and ongoing experimentation.